Hello! I’m just packing all my fancy things (lingerie, dance-y bits, fashion and interesting accessories) and squeezing in another quick blog post before my jam-packed (with shoots, not jam) Sussex trip (Surrey tomorrow, then Brighton and east Sussex before a studio day at the popular Cottage Studio – there is some time remaining on Thursday afternoon: see here for details and to book some time with me last minute or email me at ellarosemuse@live.co.uk!). It’s always so nice to work with other models, and the beautiful Holly (Ivory Flame) and I, although different in height/build, always seem to gel so well together in look and mood. We have so much fun working together, giggling all the time and having bizarre little half-conversations to assimilate our poses as we’re moving around. One of the best blurted lines ever was ‘Did you see that fawn over there?’ (well, any dreamy faces and mythical expressions are based on stories going on in our collective head! ), and there is a running theme of elbows and hair inhaling. Recently (on a completely different shoot, I announced with whispering confidence that I was going to do ‘waterfall arms’ for the next click. Holly knew exactly what I meant, and immediately worried aloud about how she would compete with such promise(! ), which made us both collapse in hysterics and get a great outtake shot from the photographer at the time. (The outcome of my waterfall arms is yet to be seen; I never had to prove myself.) Hhhm, I wonder if I’ve just shattered some illusions by exposing the utter nonsense going through our heads when we pose sometimes. Nevermind. 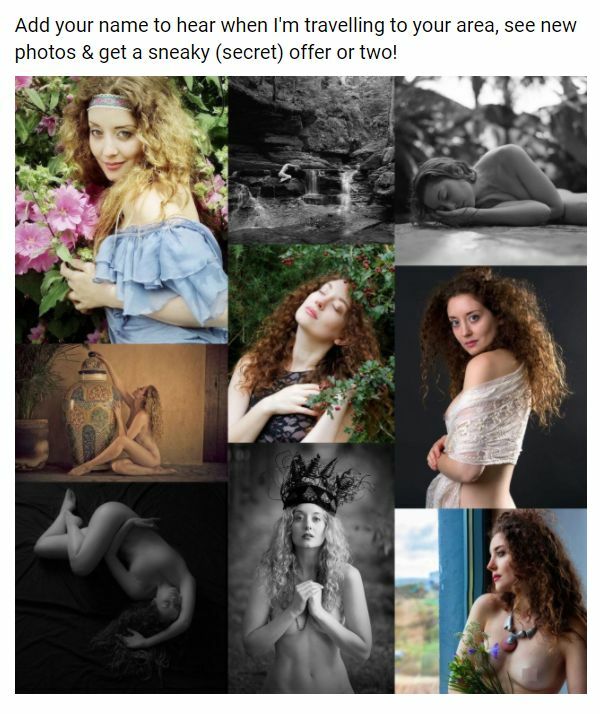 ANYWAY, the theme for our two consecutive days at Eye for an Image studio in Banbury was ‘goddesses’, the thought being that it might inspire some varied and creative ideas about what to do with two girls. I find that photographers have to think differently about shooting two models at once, and from our point of view the expressions and body language are all important; sometimes the focus is on shapes and intertanglement (probably not a word) and sometimes more about narrative and storytelling, or gentle sisterly togetherness. Fun, funky and damn good. Beautiful; the last shot is really awesome! I love the chemistry you both share. Just wonderful.